Abundant Life International Ministries (ALIM) after five years of ministry in Africa, is growing stronger and more effective than ever before, as testified in this report. 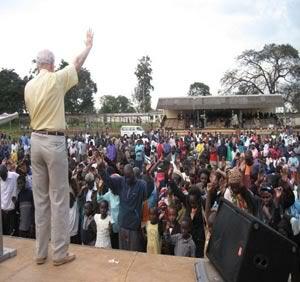 ALIM opened its frontiers to another African Country, Kenya by holding an evangelical crusade in the Western regional town of Kitale from 11th-14th August 2010. Activities during the Crusade week were the Crusade itself, Pastors and leader’s conference, hospital and prison ministry, street preaching and visits to children's homes. A team of 5 ministers from Northern Ireland and England together with the ALIM team from Uganda joined up with the local Pastors of the town in an incredible manner in fulfilling the great commission. “Therefore, go and make disciples of all nations…..” Mathew 28:19. The UK team included Pastor Ernest Howie, Pastor Mike Smith, Adrian, Ann and Nathaniel. The team participated in ministering to the people of the town and through their availability to be used of the Lord, 1,113 people gave their lives to Jesus Christ. Many were healed and delivered from the diseases and infirmities that afflicted them. The conference had over 300 participants in attendance and they were composed of Pastors, deacons and all those with leadership responsibilities in their local congregations. 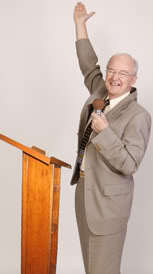 The speakers in the conference were Pastor Ernest and Pastor Mike whom the Lord used in a mighty way. The message that God placed on the hearts of the ministers was centred on the restoration of the fear of God in the Church of Jesus Christ. The subtopics that fell under this theme included restoration of family values under the topic on Marriage as God intended, the work of the Holy Spirit in the Christian Church and working in the purposes of God in the Life’s journey. The three days power packed conference ended with all leaders and Pastors being commissioned to live in the fear of God. Over 150 leaders received the baptism of the Holy Spirit. 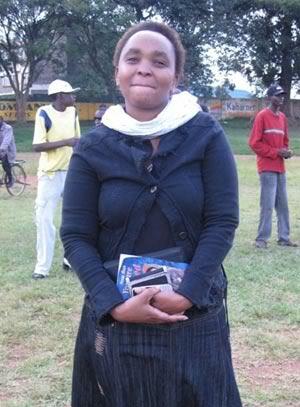 The crusade took place in Kenyatta Stadium from 11th to 14th, 4.00-6.30 pm. On all days, the heavens let loose and the rains came down. On the first day, regardless of the rainy conditions of the town, out of the total number of people who braved the evening shower, half of them came forward boldly and gave their lives to Jesus Christ. Pastor Ernest, by the grace of God communicated the faith we profess, challenging all to make a decision for Life or death. During ministry time at the crusade, a number of sick people were prayed for and they received their healing! Many of those who were prayed for testified that they have been miraculously healed by God. A total number of 1,113 people made a decision to follow Jesus Christ as their personal Lord and savior. Pastor Ernest Howie leading the people in a confession prayer after they marched forward to be saved. To reach the unreached and particularly those that had not time to come to the crusade ground, the gospel was taken to their door steps. The sound system was mounted on a truck and it moved from place to place, especially in the trading centers and housing estates. At arrival in a place with people, the truck would make a stop, praises were sung, a message given and an alter call made. 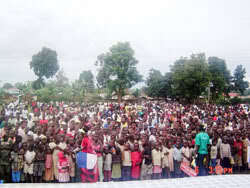 Many people responded positively to the call for salvation to the glory of God. The ministry team enjoyed the favor of the Lord as they ministered in townships and housing estates. 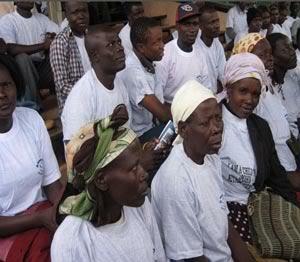 Ministry was carried out in the two main prisons in the town. The women’s prison had 59 inmates and the male one had 1120 inmates. The message to the inmates challenged them to focus on the love of God demonstrated in Christ Jesus and that love transcends their situation as inmates. Many prisoners got saved and those who were sick were prayed for to receive their healing in Jesus name. The team presented gifts of love to the inmates, which include sugar and soap. In the women prison besides sugar and soap the prisoners also received a donation of pads, and milk for the children of prisoners who had children in the prison. The inmates who gave their lives to Christ also received a donation of Bibles and a t-shirt each with a gospel scripture confirming their son-ship in God. The ministry team visited the regional referral hospital where they demonstrated the love of Jesus Christ to the sick, by preaching, counseling and prayer. 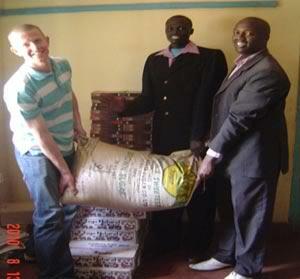 The team also gave to the patients gifts of sugar and soap, and this was received with gratitude. Many patients received salvation and the Lord delivered them; including their attendants. 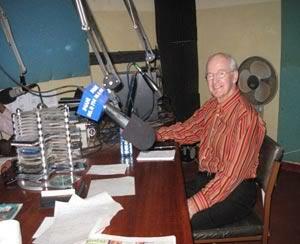 During the week, Pastor Ernest was hosted on a local radio which had a potential audience of ten million people, where he taught the word of God. In the History of broadcasting in that area there has never been a feedback compared to the response in Kitale. Many people gave their lives to Jesus Christ some of whom came to testify at the crusade that they got saved while listening to radio. The most interesting experience was of a young lady called Priscilla who was contemplating suicide. After listening to the radio, she called in and made an appointment to meet Pastor Ernest. When they met, she poured her heart to the minister who counseled and prayed with her. After all was done, she was total delivered and also received Jesus as her personal Lord and savior. On the last day of the crusade, Pastor Ernest Howie had a meeting with the new converts where he encouraged them in the Lord and pledged prayer support from ALIM. He encouraged the Pastors to take seriously the harvest, to ensure that none of them goes back to their former way of life. In the same meeting, the chairman of the organizing committee introduced all the pastors who participated in organizing the crusade to the new converts. They afterwards divided the decision cards according to the locations where the converts live. .
Poor weather conditions. The weather conditions were hostile as it rained all the evenings during the crusade time except the last night. Though this affected the numbers of those who were to attend the crusade, God surprised us each night as more people came than we could imagine. On the second last day, there was a heavy down pour during the prayer for healing and deliverance. Most of the people who had come for prayer braved the rain, and the following day was full of testimonies of all those who had received healing during that great act of faith in God. The constitutional referendum. The crusade started a week after the elections/ a national referendum for constitutional review in Kenya. The mood for big gatherings was fearful as people were still coming to terms with the results. Nevertheless, we thank God for the peaceful moments we enjoyed throughout the crusade week in Kenya. Working with Pastors on new methods of accountability. Accountability as understood by many people in the west is still a new concept in the African context, more so among Church leaders. Many people we were working with found it a little strange when they were asked to present the expenses details for the previous advances before they are given more, with a reason that it is not part of their culture. This was however overcome steadily with a lot of patience and explanations. This area continues to build our experience as a ministry for current and future engagements, but also for whoever will read this report with a view to learning something from experience in organizing crusades. Healing. Many people received miracles of healing and deliverance from all forms of oppression by the devil. Those who were healed testified to that effect in public to the glory of God. Salvation. Many people were presented with a choice to make between Life and death and within the course of the week the records revealed that 1,113 people had given their lives to Jesus Christ. What a joy that was and is for these many sinners who chose the path of righteousness. Unity among pastors. For the 1st time, Pastors in the town came together in unity to organize such a fruitful event. All the crusades that have ever been organized in that town, were by individual persons not as a team of pastors. As a result of this working together, the Pastors saw the synergies in corporate working and resolved to officially launch a pastor’s fellowship in the town. The Executive committee of this fellowship was inaugurated on the 16th of August 2010, shortly after the crusade. Thank you Jesus. Priscilla got saved during the radio broadcast, was delivered from evil oppression to the Glory of God and baptised in the Holy Spirit. We are grateful to Pastor Ernest Howie for funding the conference. 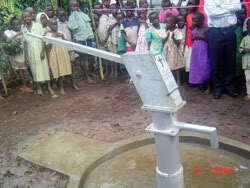 We acknowledge the efforts of Pastor Julius Eribu of Soroti Community Church that resulted in high turn up of couples. Above all, we thank God for His provision, protection and health, which enabled us to have this conference. We give thanks to the Almighty God for using the ALIM team to do exploits during the crusade week and above all for his protection upon each person’s life among those involved. Many thanks go to Abundant Life Christian Fellowship for the financial support that made this crusade a success and more so for being available to be used of God. We owe gratitude to Pastor Ernest Howie for leading the team and for allowing God to use him. 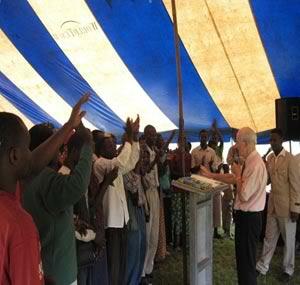 We thank the Pastors of Kitale for organizing the crusade and or their commitment to follow-up the new converts. The sure encouragement for all who participated is that your labour in Christ Jesus in not in vain (1 Corinthians 15:58).